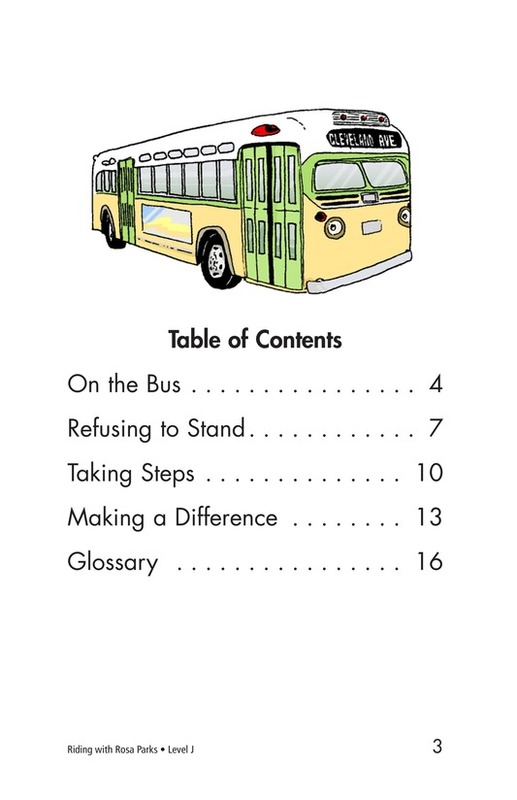 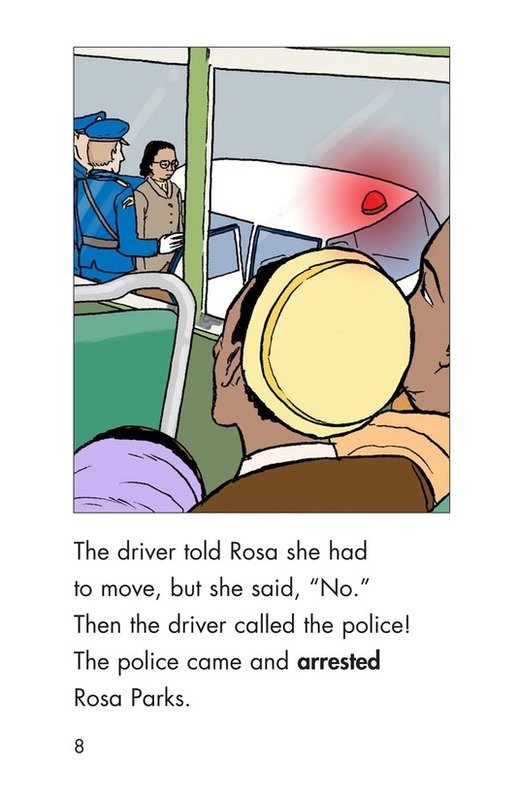 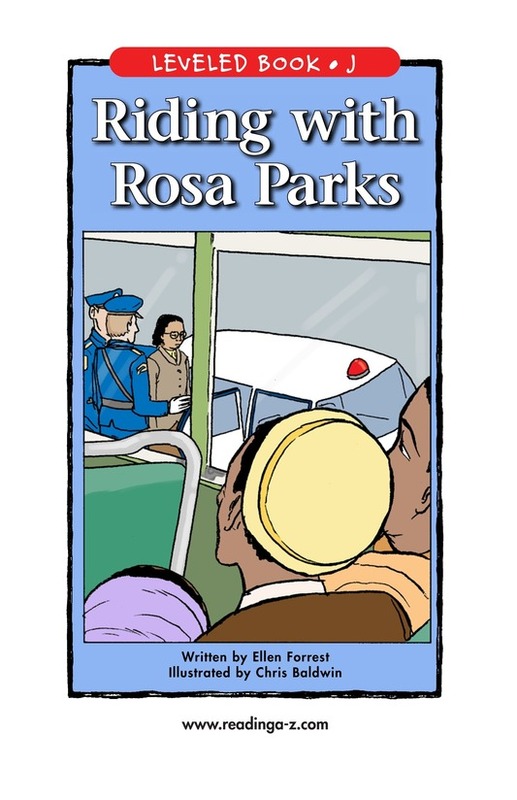 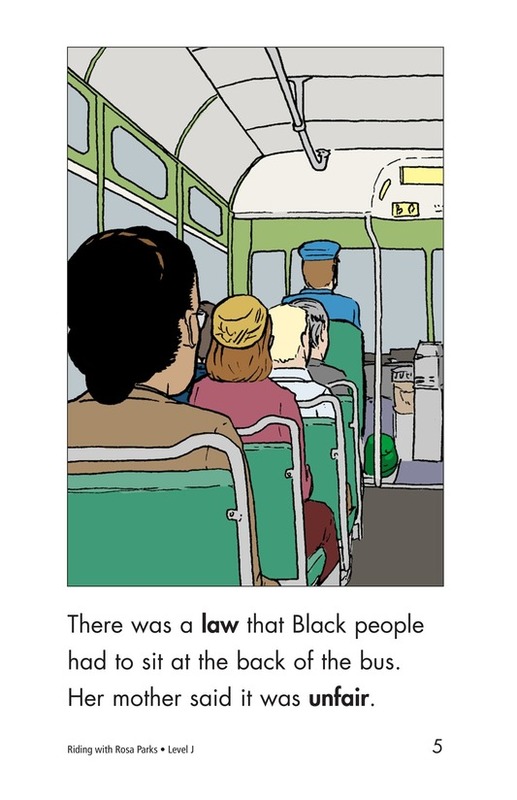 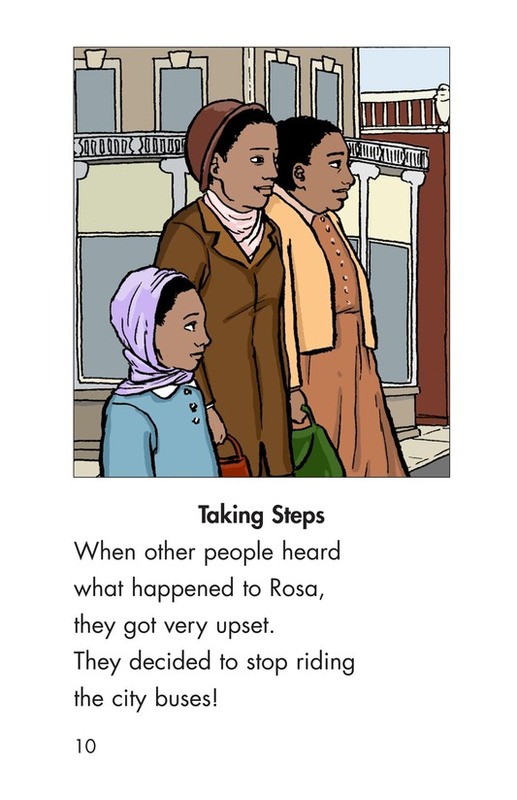 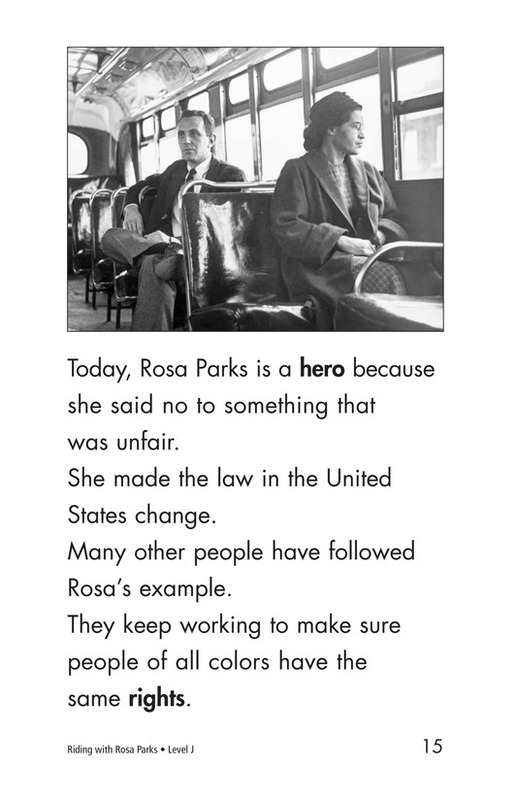 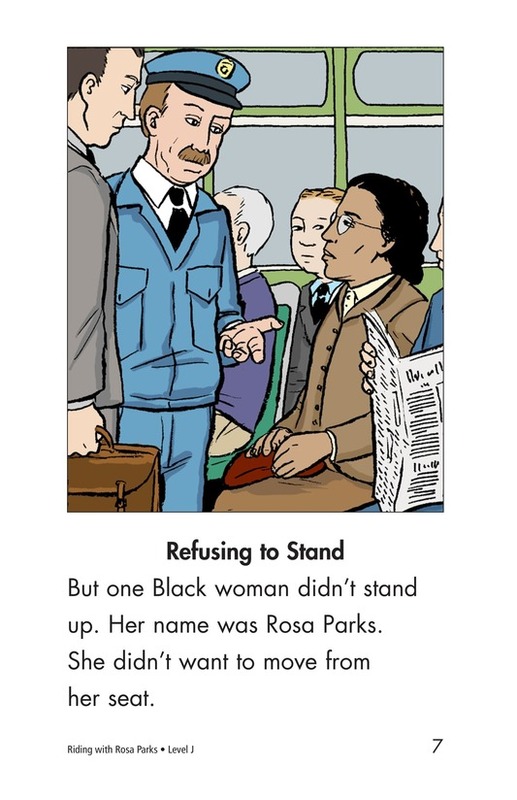 Riding with Rosa Parks recounts a period in American history when segregation laws denied African-American people equal rights. 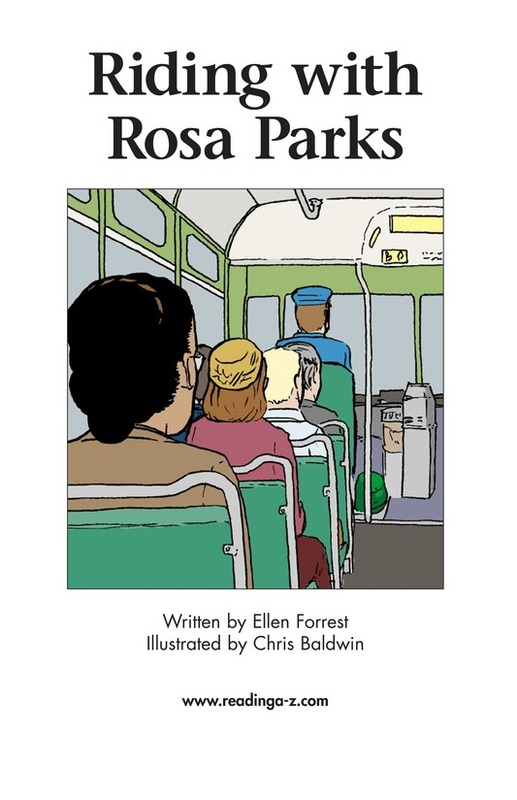 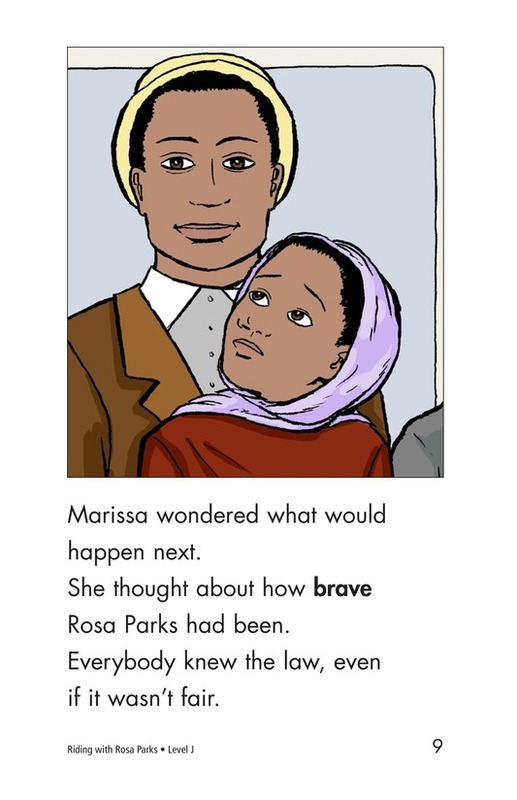 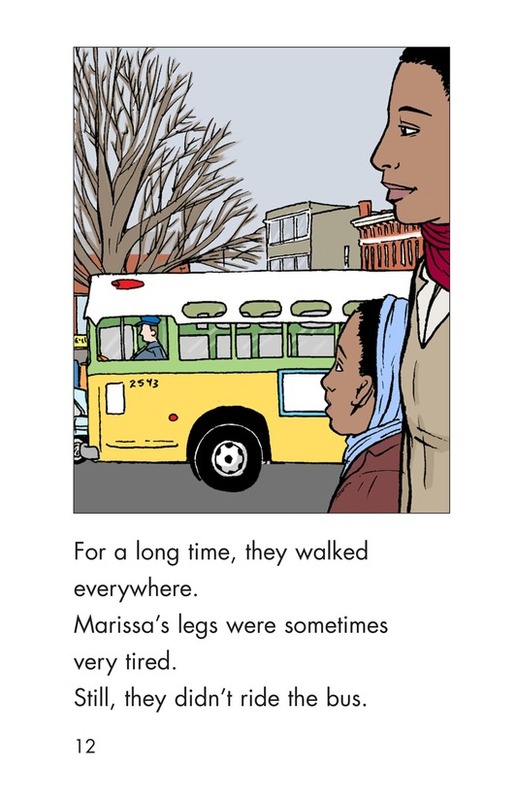 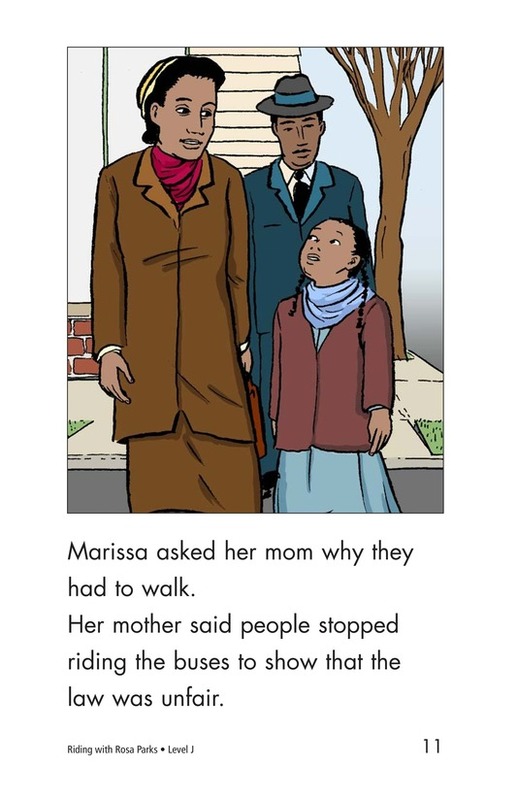 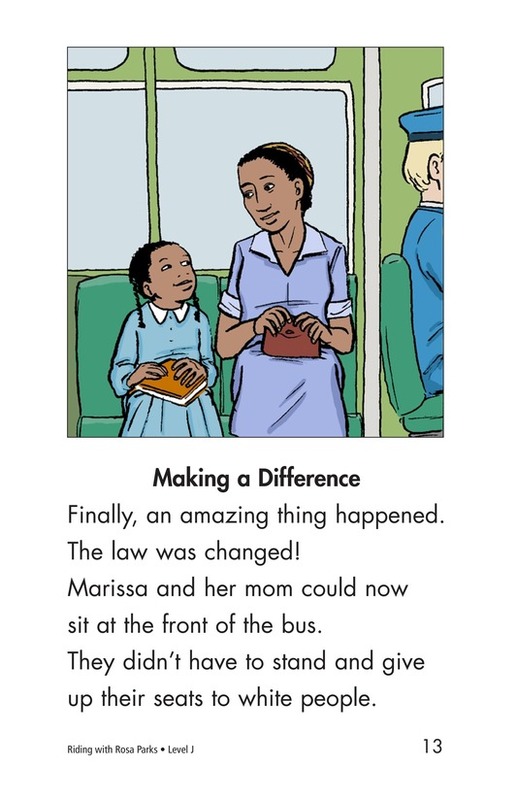 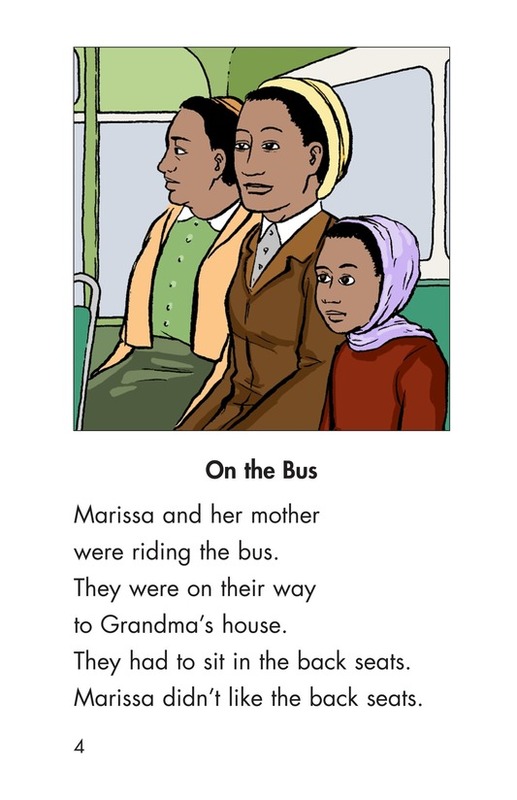 The story is told from the point of view of a fictitious character, Marissa, who witnesses the bravery Rosa Parks displayed when she refused to give up her seat on the bus. 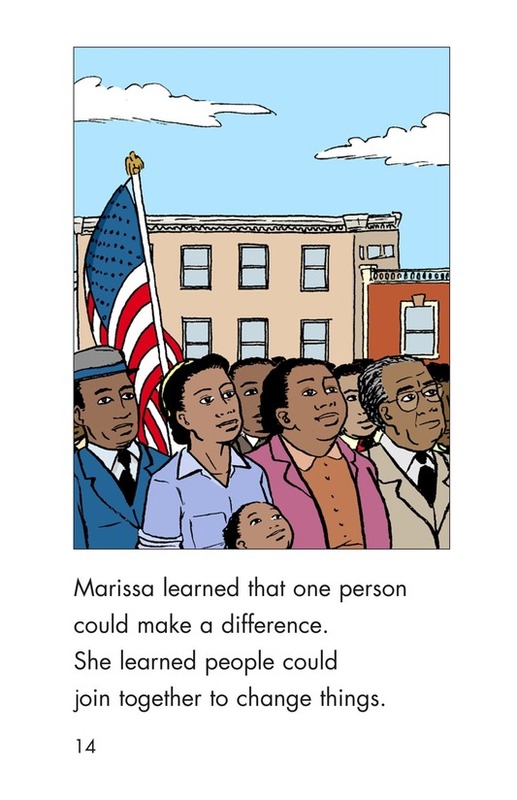 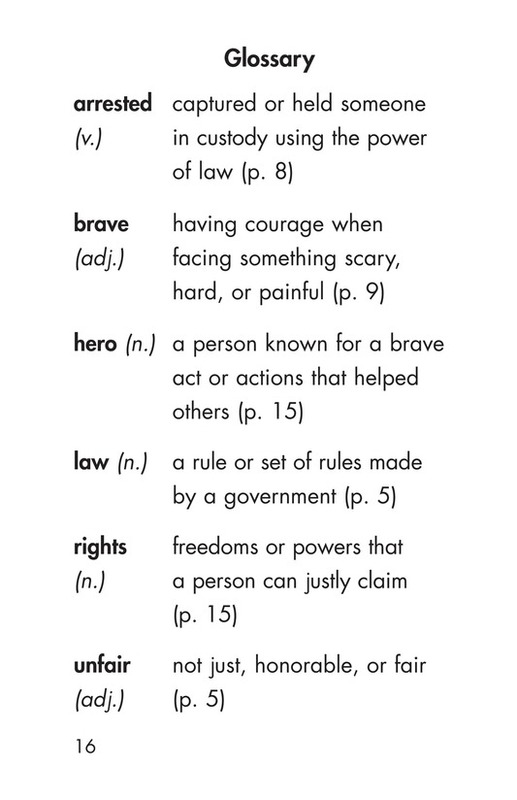 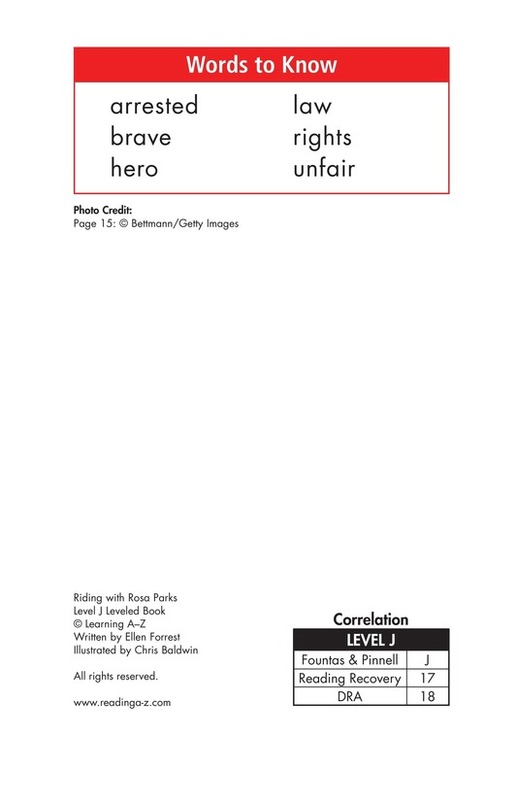 The story provides students with the opportunity to learn how one person can make a difference.